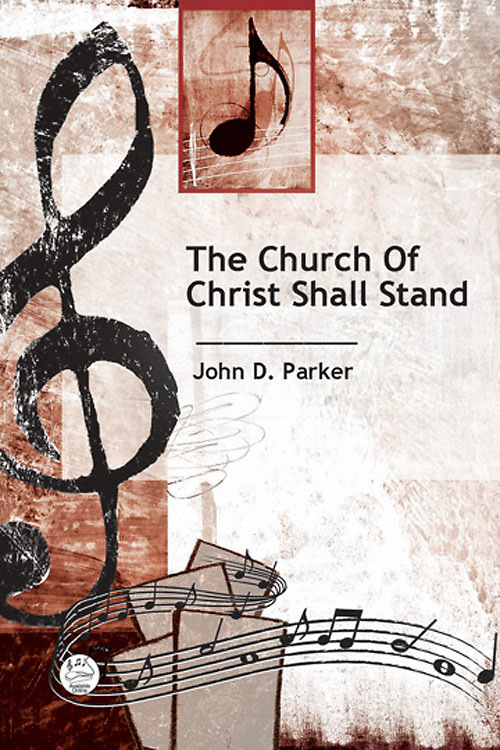 “The Church of Christ Shall Stand” — Festival anthem for SATB voices and piano with optional brass and percussion; words by John Parker; music by Stan Pethel. From the opening fanfare to the final brilliant chords, you know that something special is taking place. This triumphal anthem rejoices in the church of Jesus Christ, our Lord and King, and celebrates its long standing. Unison voices open stanza one identifying the foundation of the church. Voices divide in measure 8 with the melody remaining in the soprano voice. Stanza two sings of the steadfastness of the church through trial and tribulation. Woman maintain the melody with men marching below. A key change in measure 25 moves the key up from B flat major into C major. A contrasting middle section is more linear with legato phrases singing of the unity of the church. Another key change moves the tonality into E flat major and quotes the familiar hymn, “The Church's One Foundation” with optional congregation. The coda, set for choir, returns to the fanfare motif with thick vertical chords and resounding accompaniment. The piano part requires strong accurate rhythms along with left hand octaves and security in various keys. The part supports the voices while providing distinctive style. Parts for brass and percussion are available for purchase online. The vocal parts require mature adult voices. Melodic and rhythmic repetition, clear harmonic patterns, and varying textures will afford your ensemble ease in the learning process. Performance options include omitting the brass and percussion. Congregational participation is optional. Appropriate days: festive services; rally day/homecoming; service themes celebrating the church; Pentecost; and general worship.